Whitehouse is conducting a survey to determine how well university Chemical Engineering departments teach process control. Once sufficient numbers have responded the intent is to publish the results as part of a report suggesting ways of bringing about improvement. So far about 350 people have responded. If you are a Chemical Engineering graduate then please take a few minutes to complete it. There are just 9 multiple choice questions plus space to add any other comments. It should take less than 5 minutes. It can be found on the home page of our web site. We first began presenting our open-access courses in The Netherlands in 1995. Over 250 delegates, from over 40 companies, have attended what is now a regular event. After a couple of years in Rijswijk, this year they are back in Delft. Already they are sufficiently booked up to ensure that all will run. As an essential precursor to all the others, the Basic Control course is particularly popular and is likely to be full. So the advice is to book early! We launched our new website in January 2011. It gives detailed descriptions of all the courses we offer and which companies have used them. There are also screen prints from our Process Control Engineering Toolkit and Training software which give a concise summary of all of the functions included. As promised we have included the option to download (free of charge) a module that will help with controller design and tuning. So far over 1,300 people have taken advantage of the offer. We can also be found on LinkedIn. At the time of writing this newsletter, we had over 12,000 people in our network. Please join us, particularly if you're interested in what we're doing with our training and Myke King's book. It is definitely worth participating in some of the discussions. Controller tuning is always a hot topic in many of the groups. Needless to say Whitehouse usually has something to say on the subject! 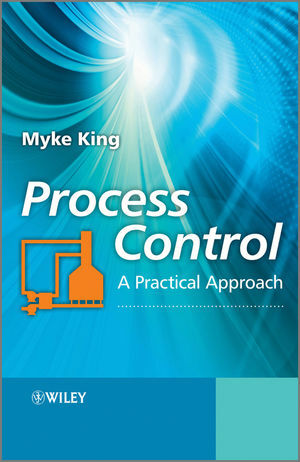 Other subjects include process-specific control designs and the teaching of process control. It can be a very useful source of free advice. Responding to the increasing demand for training in the development of inferential properties Whitehouse has announced the release of a new course module. Known also as 'soft sensors' or 'virtual analysers', inferentials offer the opportunity to quickly and reliably detect a change in property. They have long been covered in the established Distillation Control and Project Execution modules but several clients have asked for more in-depth training. The module includes eight case studies for completion by the students. Each aims to demonstrate some of the more surprising aspects of successful development and installation. Full details are available on our website. The module will be presented for the first time in September, for one of Whitehouse's clients in South Africa. In November it will be included in a course in Spain, during which students will be helped to build real inferentials using data they have collected from the real process. Mixing real engineering with the training is becoming increasingly popular amongst Whitehouse's clients. Student confidence grows more quickly and their work is applicable immediately to the real process. The benefits then captured justify, usually within a few days, the cost of the course. Myke King's book continues to sell well. After 18 months since its publication it still regularly reaches the top 2% of Amazon's best seller list of over 8 million books. Using the minimum of mathematics, it aims to teach the practical application of process control. It was developed from our courses and includes all of their content, plus a whole lot of other good stuff! As part of its commitment to helping improve the way that process control is taught as part of Chemical Engineering, Whitehouse is now providing teaching support to a number of universities. It now makes available (free of charge) its Process Control Engineering Toolkit and Training software to any academic institution wishing to use it to support their courses. So far 10 universities around the world have taken advantage of this offer. Whitehouse continues to be involved in teaching part of the MSc course offered by PACT at Newcastle University. In January we presented (for the 7th time) a substantial part of the module entitled Dynamics and Control of Distillation Columns. LSBU took advantage of Whitehouse's offer to present some of its lectures. Over 9 hours of material were presented primarily covering the topics Process Dynamics, Feedforward Control, Compressor Control and Fired Heater Control. Any Chemical Engineering graduates who think that their university might welcome such assistance can contact Whitehouse. We make no charge for lecturing, although some help covering expenses is always welcome. Following a successful webinar on the control of distillation columns that Whitehouse presented on behalf of the UK's Institution of Chemical Engineers Fluid Separations Subject Group, we have been requested to develop another for presentation to Chemical Engineering undergraduates. This is scheduled to take place early next year and will be offered to students and staff - including those at UCL , Manchester and Swansea. Whitehouse has, for the first time ventured, into South America. It was commissioned by YPF, at the time largely owned by Repsol, to run its Basic Control and Distillation Control courses in Buenos Aires. Over 30 staff attended from across the country. Although presented in English, simultaneous translation to Spanish was provided for the few that needed it. The course was deemed a great success but was made more memorable by the announcement on the second day that the Argentine government displaced Repsol by taking a 51% ownership of YPF! The most recent of our papers Are you losing money when tuning controllers? was published in Hydrocarbon Processing in January this year. This and older articles are available on our web site. They offer advice on many aspects of process control and information systems. Some of them are pretty large files so some patience might be required in downloading them. Watch for another article in Hydrocarbon Processing scheduled to be published in the October Special Report on Process Control. While training is an important part of business, we are primarily an independent consulting organisation specialising in the practical application of advanced control and information systems to the process industries. Our aim is to ensure our clients exploit all the profit improvement opportunities in the most cost effective way. Since we provide neither the technology nor implementation services our clients can be confident that the advice we offer is impartial. Whitehouse was established over 20 years ago and has worked with many of the world's leading companies. Its consultants each have around 35 years experience. Full details of our services are available from our website. This also provides clients lists and contact details.